Get your tetanus shots ready! (Just don't grab anything from that filthy med kit.) 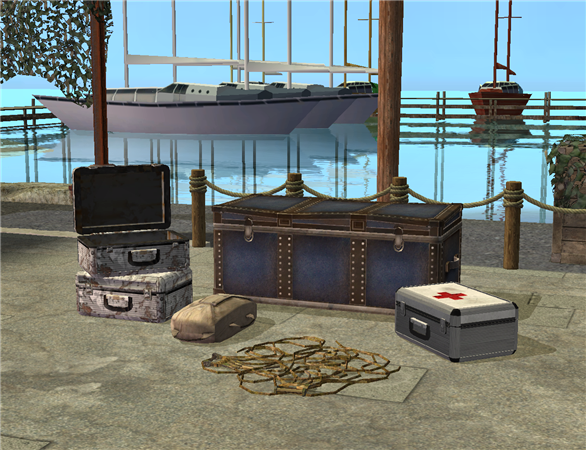 I was scouring the Castaway game files for the steamer trunk and found some other stuff from the utility set that no one seems to have converted yet. The set includes three versions of the medical kit, a parachute and some parachute ropes, and a coffee table version of the trunk. They never show it in the game (for good reason!) but the medical kit actually has some absolutely disgusting looking supplies in it, but I'll leave that up to your own perusal.